Incorporating old tattoos within a newer, bigger tattoo is a great way to unify your ink! 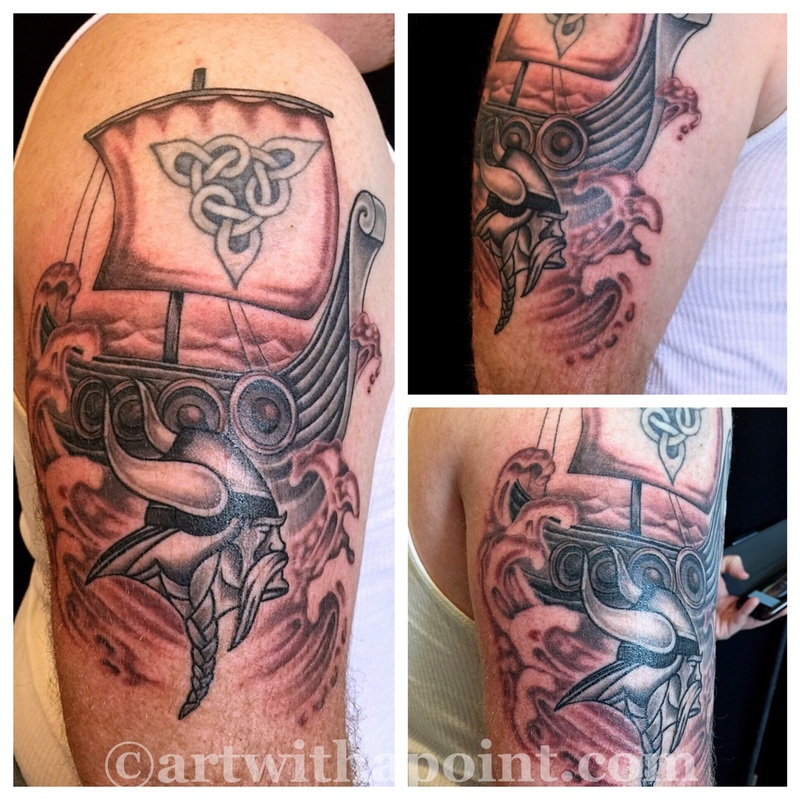 Here we used the Celtic Knot as decoration on the Viking ship sail. Loving the black and gray use of variations in texture.